Nail your nemesis move with my 8 week strength building programmes. 8 weeks of on-the-pole, off-the-pole and in-the-gym workouts designed to get you to your pole goal FASTER! 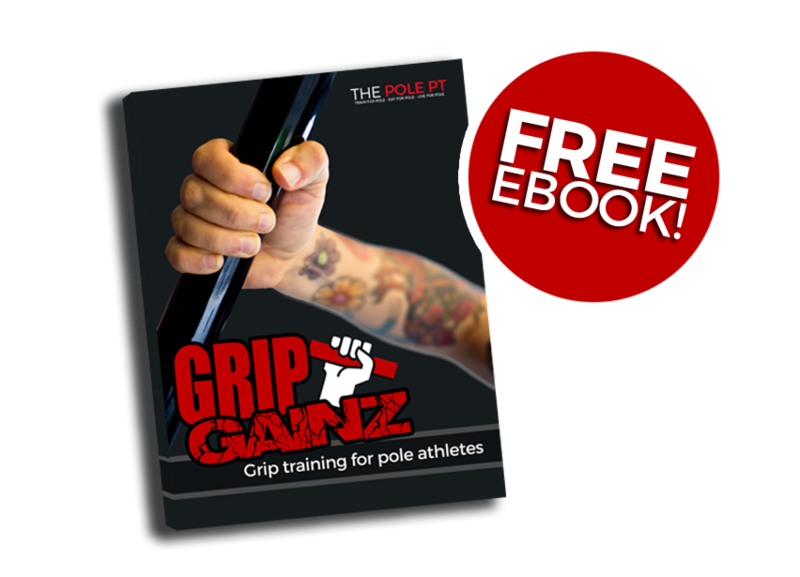 Want to increase your strength for pole but not sure how to organise your training to get the best results? 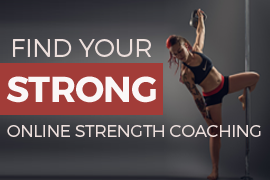 Perhaps you need help and accountability staying on track or just want the expert guidance of a strength coach to make sure you’re doing things safely? 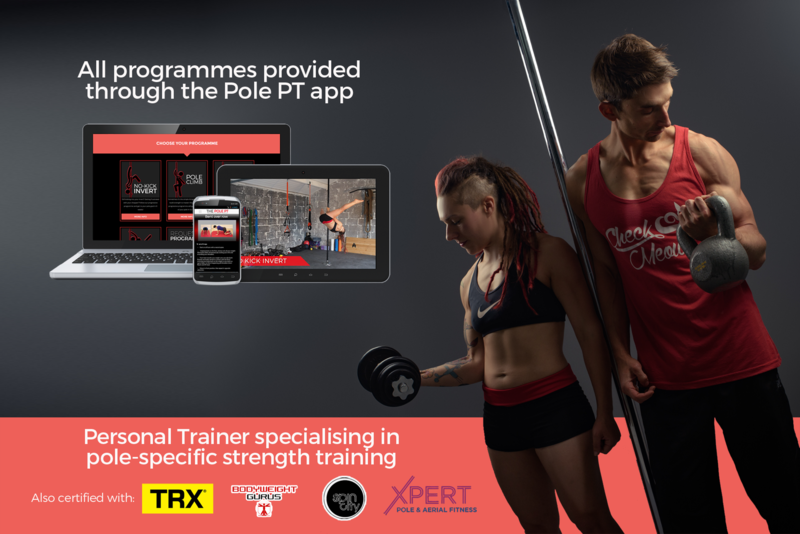 Your goals, your equipment, your level, your lifestyle – this is fully customised strength coaching for pole! Direct and unlimited communication with your dedicated personal trainer for all the support, advice and accountability you’ll ever need! Honestly, I’ve done the online workout thing before, and yours is so much better. With others, I didn’t get the trainer actually addressing me as an individual with individual needs (different injuries, body types, issues, etc).